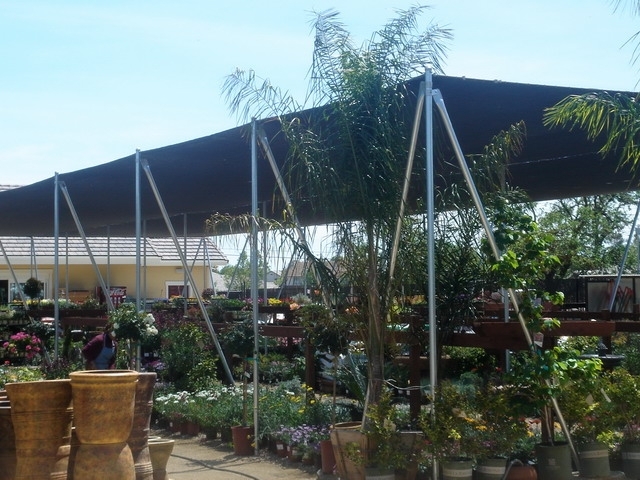 The Agra Tech Shade House is a pipe & cable structure designed to hold shade fabric and shield your plants. Bay Spacing is 24' wide x 12' length increments. Columns are 2 3/8" diameter x 13GAspaced 12' on center. Pre-drilled for cables. Domed caps included. Kneebraces are 2 3/8" diameter and are placed (1 at every exterior column and 2 at every corner column). 3/8" 7x19 galvanized aircraft cable. 14,400 lb. breaking strength. Cable is included for roof at each column running the length of the house and at each end running the width of the house. 3/8" cable clamps, 3 per cable connection at each end. Wall cable systems are optional.